The proposed $26-billion merger between wireless operators T-Mobile and Sprint in the US won approval Monday from regulators that vet such deals for national security concerns. 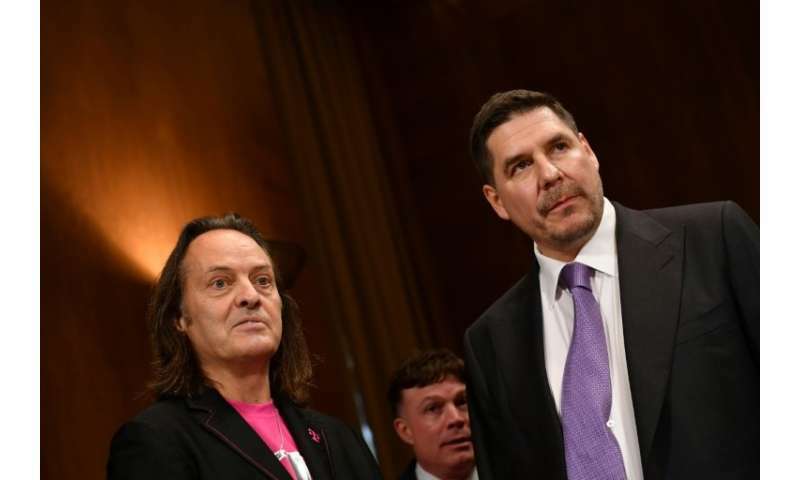 T-Mobile said the deal got the go-ahead from the Committee on Foreign Investment in the United States, and chief executive John Legere added that the goal is to complete it in the first half of 2019. The merger still needs the approval of the Federal Communications Commission. Aside from competition issues, the proposed merger has raised eyebrows in the US because Chinese telecom giant Huawei—which Washington accuses of using its products for espionage—has trade ties with both Germany's Deutsche Telekom, T-Mobile's parent company, and Japan's SoftBank, which owns Sprint. US news outlets have reported that to get the merger approved, those parent companies may reconsider their ties with Huawei. T-Mobile and Sprint are respectively the third- and fourth-largest wireless carries in the US in terms of number of customers. In April, the companies announced their deal to form a new company and push the development of a super-fast 5G network. The two firms had previously called off merger talks after failing to clinch mutually agreeable terms. 5G, or fifth-generation, wireless communications networks would enable services such as remote surgery or driverless cars and allow customers to experience video and virtual reality with greater ease. Together, T-Mobile and Sprint have about 131 million subscribers, virtually matching second-ranked AT&T and posing stiff competition to market leader Verizon Communications.